This week I have spent quite a lot of my free time on my allotment on my hands and knees weeding, it is amazing what you see when you get that bit closer to the ground. Whilst digging up some of the larger weeds I uncovered two types of grubs one was cream and is the larvae of the Cockchafer Beetle, the other one was grey and is the larvae of the Crane Fly or Daddy Long Legs both these grubs will happily munch their way through the roots of your plants and crops but they will also make a welcome meal for a young bird. Above ground amongst the foliage were Ants, Spiders, Beetles and quite a lot of Ladybird larvae, which is good news, as I have not seen many Ladybirds this year. 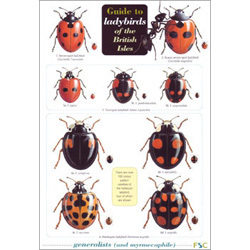 I began wondering about the life cycle of Ladybirds, so I had a look at my Field Guide to Ladybirds and thought I would share my finding with you. During the winter months (October-February) Ladybirds become dormant which is known as ‘overwintering’, prefering a dry, sheltered place away from predators usually in leaf litter or bark crevices. 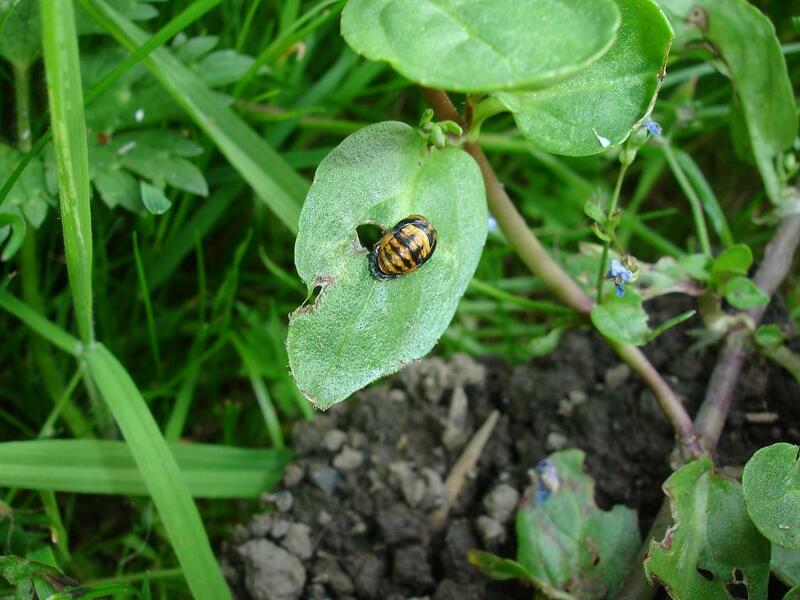 In March/April the Ladybirds will become active and look for aphids (greenfly) to eat. 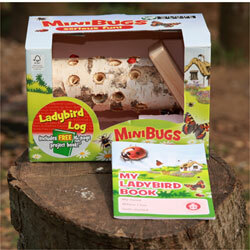 During May the male and female Ladybirds will mate. 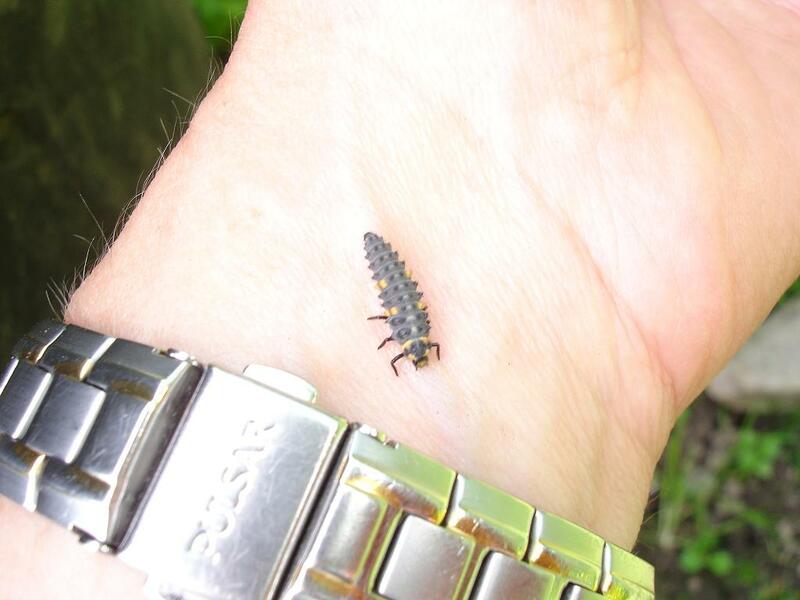 During June-July the females lay their eggs on the underside of leaves they look like very small yellow jellybeans, they will choose a plant that has a good supply of aphids, which the larvae will eat once they have hatched out, the larvae don’t resemble a Ladybird at all, they mainly have a long grey body with black and orange markings and have six black legs, after a couple of weeks growing the larvae start to change and after attaching themselves to a leaf become a ‘pupae’. In August the new Ladybirds emerge from the ‘pupae’ and begin to feed on aphids, they need to eat lots of them to build up their reserves to see them through the winter. 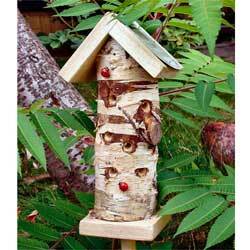 Ladybirds really are good news for gardeners, eating lots of aphids and should be encouraged in every garden, why not put up some insect houses to give them a home for the winter.